Marist Varsity Men finish in SECOND place at ESCC Championships! WOW! Five Varsity Athletes MEDAL and earn ALL Conference Honors to help the RedHawks finish in SECOND place at the ESCC Championships! 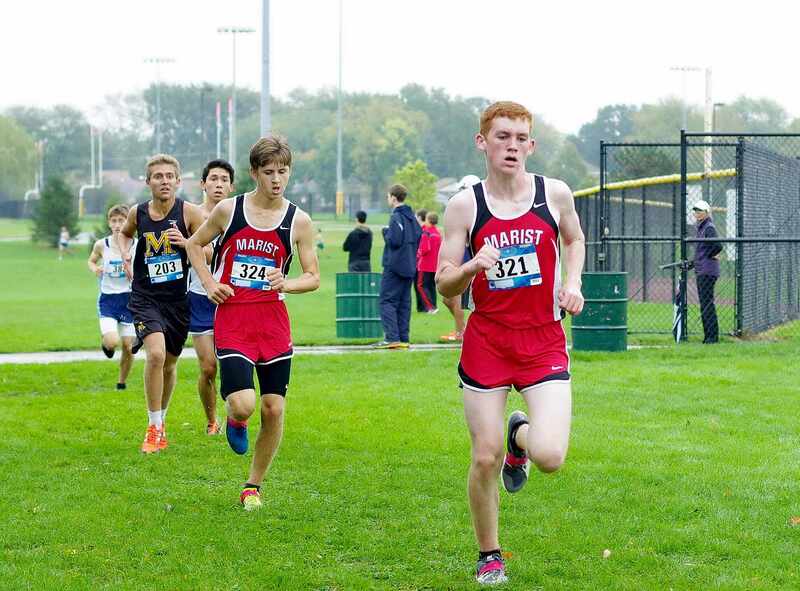 On Saturday, October 13, 2018, the Chicago Marist Varsity Men traveled to Arlington Park in Arlington Heights, Illinois for the East Suburban Catholic Conference Championships. The historic thoroughbred horse-racing track was built in 1927, and features a six story grandstand and lush gardens. 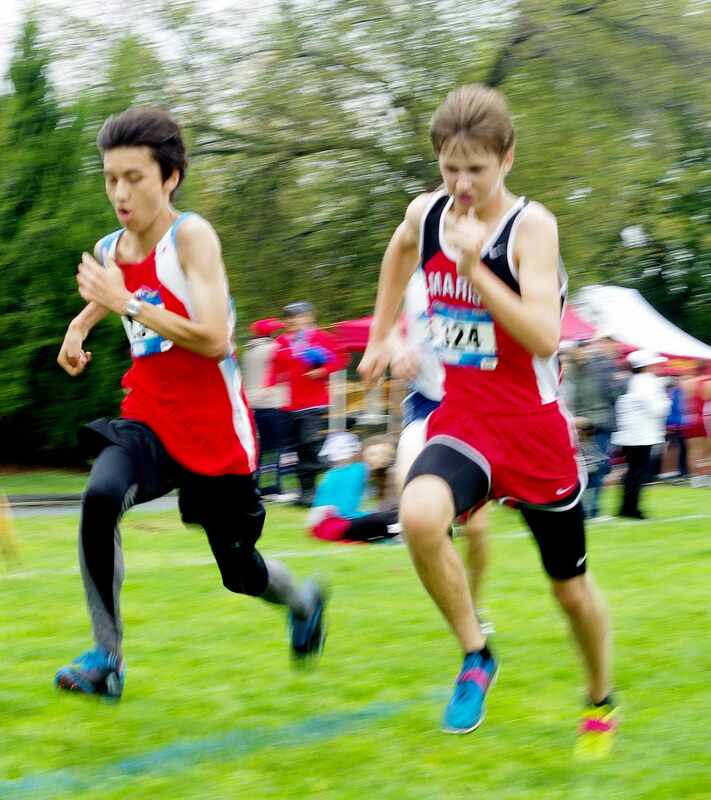 The East Suburban Catholic Conference Cross Country Championships featured Benet, Carmel, Joliet Catholic, Marian Catholic, Marian Central Catholic, Marist, Nazareth Academy, Notre Dame, St. Patrick, and host Saint Viator. 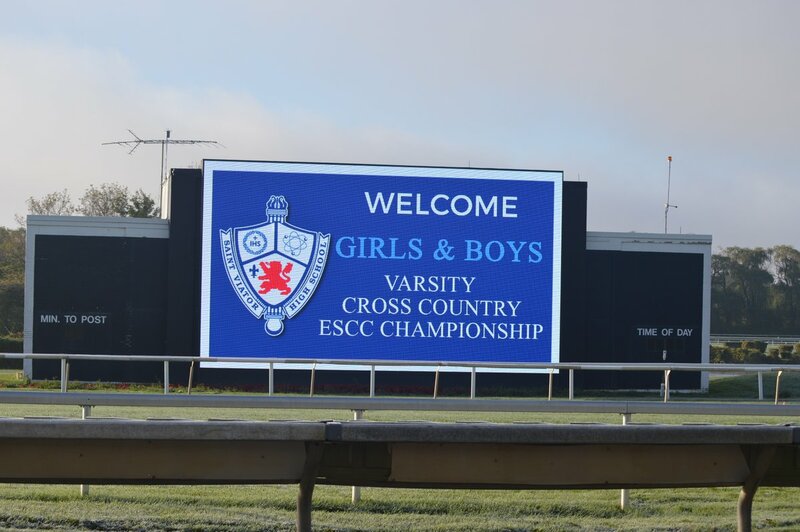 Saint Viator Athletic Director Jason Kuffel, Saint Viator Head Cross Country Wayne Edelman, and Meet Manager John Fuja were excellent hosts, and arrived at Arlington International racecourse at dawn to prepare the course for the ESCC Championships. A special thanks to Coach Wayne Edelman and staff for providing a venue that was second to none for the ESCC Cross Country Championships.It was also the first Stadium Cross Country race in Illinois. The Top 23 Athletes earned MEDALS and ALL CONFERENCE Honors. 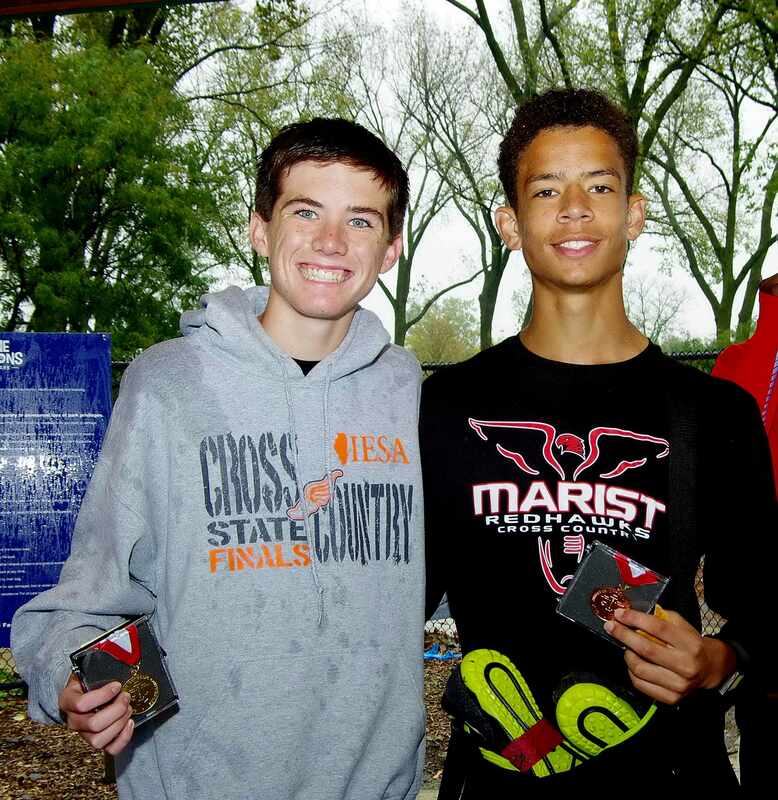 A year ago (2017), Marist had TWO athletes Medal and earn All Conference honors for the Varsity at the ESCC Championships, and the RedHawks fifth runner finished in 18:15.1. That changed dramatically on Saturday. 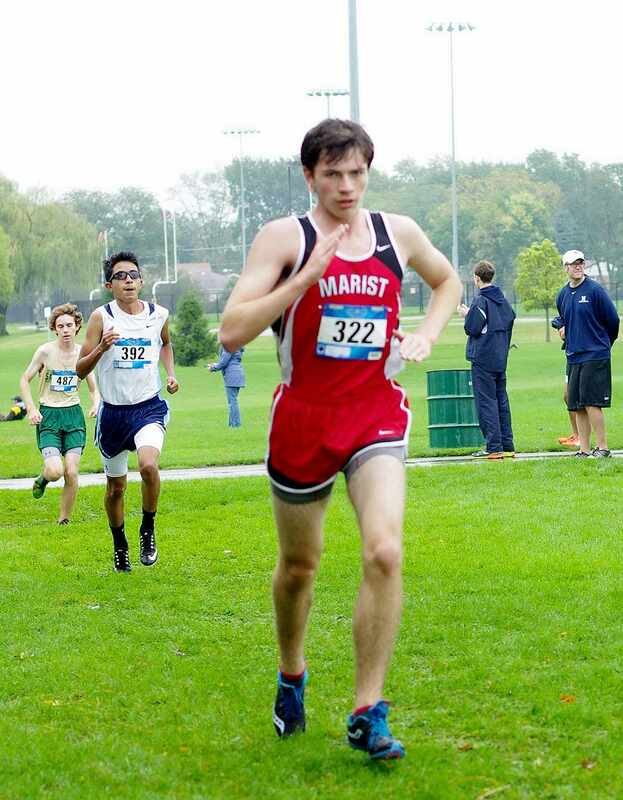 In 2018, Marist had FIVE athletes Medal and earn All Conference honors for the Varsity, and the RedHawks fifth runner finished in 17:36.8. The Marist Varsity Men also finished in SECOND place at the ESCC Championships for the first time since 2011! The RedHawks were led by Captain Thomas Leonard. Junior Thomas Leonard finished in third place overall with an outstanding time of 16:06.2. Thomas Leonard was awarded a MEDAL for earning ALL CONFERENCE Honors. Senior Lucas Pennix finished second for the RedHawks and in 16th place overall with a season best time of 17:12.0. Lucas Pennix improved by one place from 2017 (17th place) to 2018 (16th place) ESCC Championships, and was awarded a MEDAL for earning ALL CONFERENCE Honors. Junior Luke Hortsman finished third for the RedHawks and in 21st place overall with an outstanding time of 17:35.5. 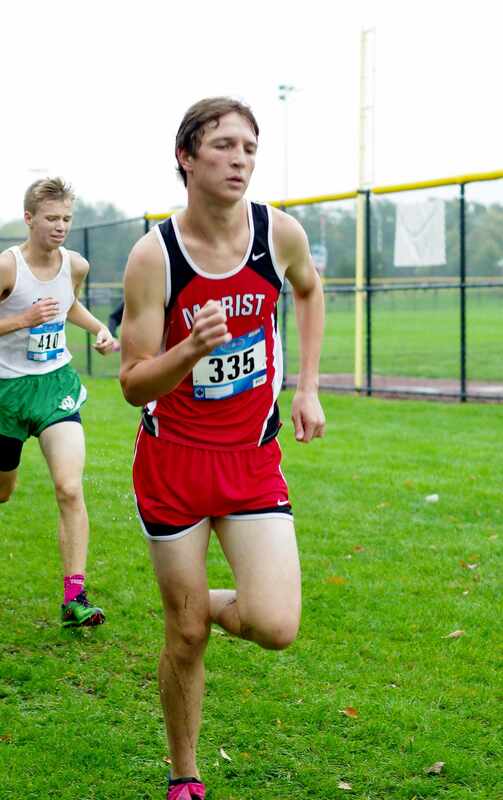 Luke Hortsman dropped 36 seconds (18:11.43) from the Niles West Pat Savage Invitational! Luke Hortsman also IMPROVED 16 places from 2017 (37th place) to 2018 (21st place) ESCC Championships, and was awarded a MEDAL for earning ALL CONFERENCE Honors. 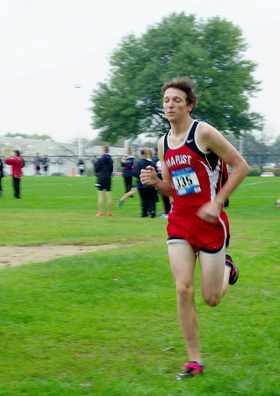 Captain Colin Tracy finished fourth for the RedHawks and in 22nd place overall with an outstanding time of 17:36.3. Senior Colin Tracy IMPROVED 7 places from 2017 (29th place) to 2018 (22nd place) ESCC Championships, and was awarded a MEDAL for earning ALL CONFERENCE Honors. Junior Caleb Davis finished fifth for the RedHawks and in 23rd place overall with an outstanding time of 17:36.8. Caleb Davis was awarded a MEDAL for earning ALL CONFERENCE Honors. Senior Andres Castillo finished sixth for the RedHawks and in 26th place with an outstanding time of 17:55.8. A year ago (2017), Andres Castillo competed in the Junior Varsity division, and this year he finished 26th in the Varsity division! Sophomore Tommy Kavanaugh finished seventh for the RedHawks and in 44th place with an official time of 18:48.4. 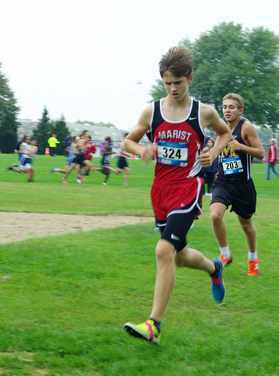 The Marist Varsity Men finished in SECOND place with 85 points, and posted victories over: 3. Notre Dame (94 points), 4. St. Viator (113 points), 5. Carmel (149 points), 6. Nazareth (153 points), 7. Marian Central (170 points), 8. Marian Catholic (187 points), 9. Joliet Catholic (230 points), and 10. St. Patrick (257 points). 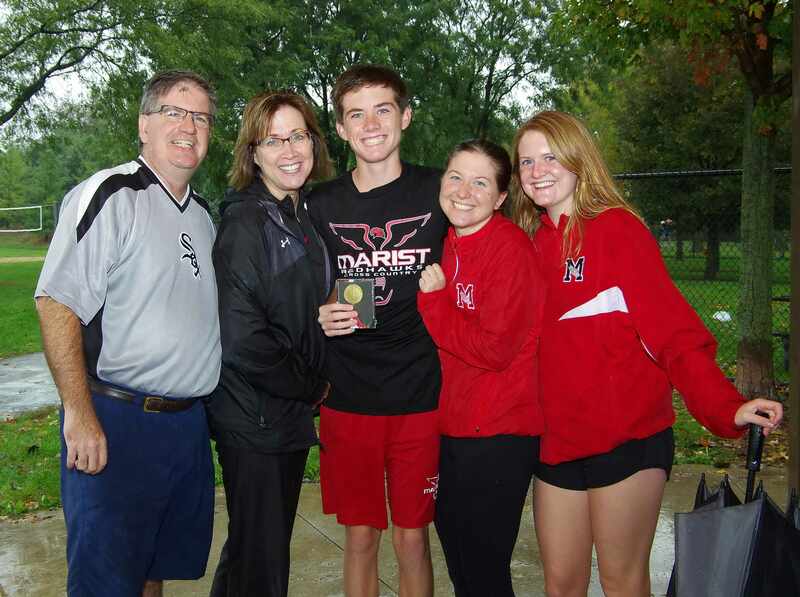 Marist had a record of 8-1 on the day! Freshman Andrew Kerlin (10th) and Sophomore Jonathan Rivera (23rd) earned MEDALS and ALL CONFERENCE Honors in the Sophomore division. Senior Aidan Dillon (12th) earned a RIBBON and ALL CONFERENCE Honors in the Junior Varsity division. The IHSA requires Marist to designate 14 Athletes for the IHSA State Series. Only Athletes on the official IHSA roster can compete during the IHSA State Series. The following 14 Athletes listed below have earned a roster spot for the IHSA State Series, and will commence practice on Monday to prepare for the IHSA Regional Championships on Saturday, October 20, 2018. Reavis High School will host the IHSA Regional Championships. The Top 6 Teams will advance from IHSA Regionals to the IHSA Sectional Championships on October 27, 2018. Marist will host the IHSA Sectional Championships. The Top 5 Teams and 7 athletes on non qualifying Teams wll advance to the IHSA State Championships in Peoria, Illinois on Saturday, November 3, 2018. Runners #15 - #37 will have a meeting at 2:30 pm in the Cafeteria on Monday to turn in their UNIFORMS in a plastic bag with their individual name on it, in EXCHANGE for a ballot to vote on banquet awards and off-season training programs for Track and Field. The Marist Junior Varsity Boys finished in THIRD place at the ESCC Cross Country Championships with 93 points, and posted victories over: 4. Marian Central (122 points), 5. St. Viator (143 points), 6. Nazareth Academy (157 points), and 7. St. Patrick (176 points). 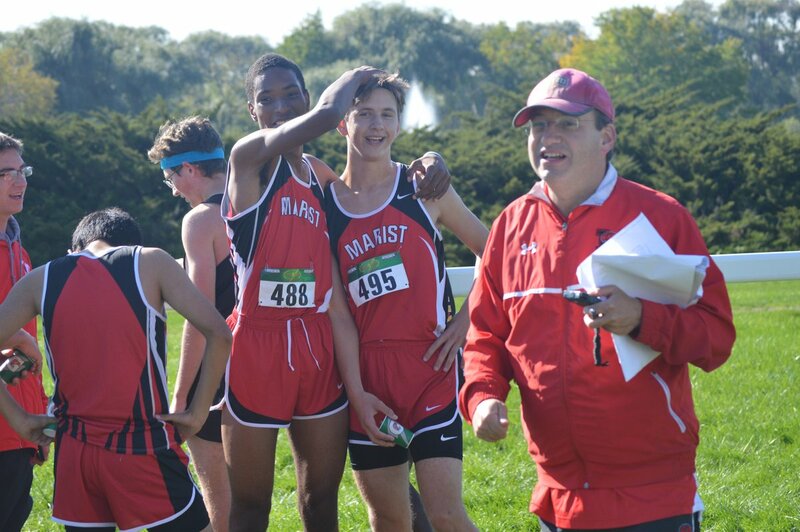 The Marist Sophomore Boys finished in FIFTH place at the ESCC Cross Country Championships with 120 points. 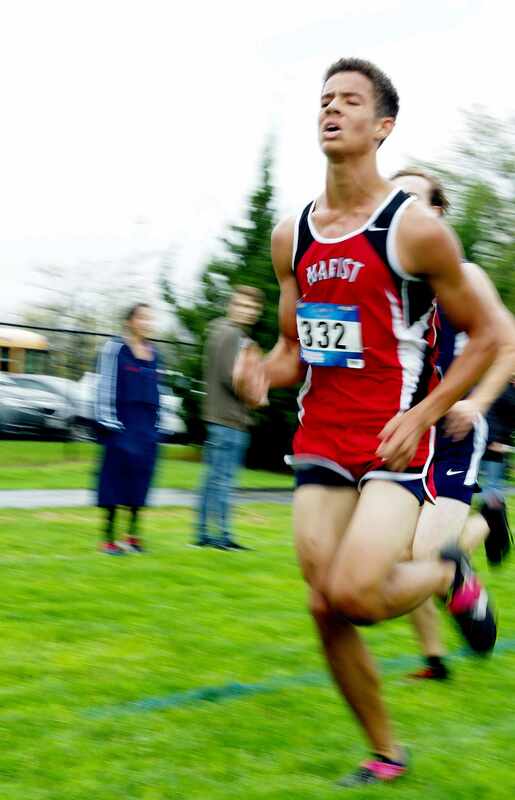 Marist won the tie-breaker over Nazareth Academy based on the strength of their sixth runner. The Marist Sophomore Boys posted victories over: 6. Nazareth Academy (120 points), 7. St.Patrick (145 points), and 8. Carmel (178 points). On Friday, October 12, 2018, the Marist Redhawks Cross Country TEAM will be having a TEAM PASTA PARTY following practice, in the Cafeteria, from 4:00 pm - 5:30 pm. 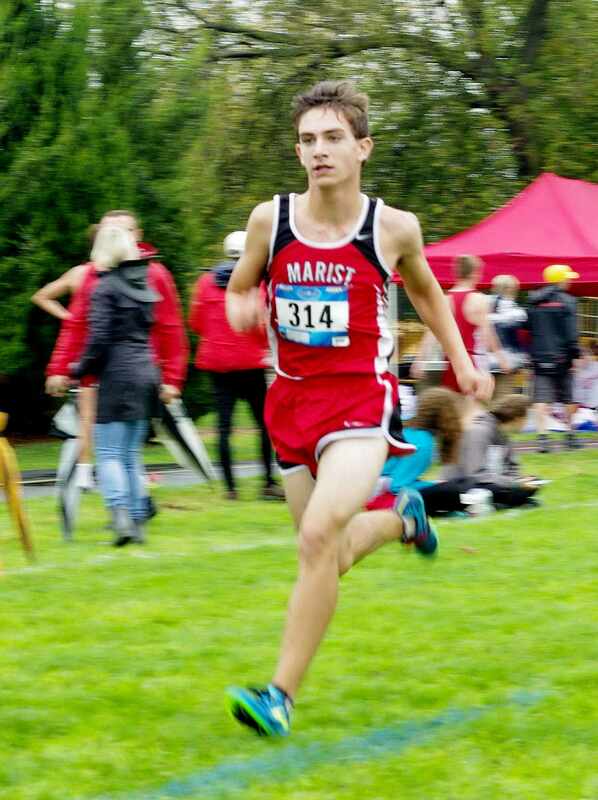 The Marist Cross Country TEAM has worked hard, and will be preparing for the ESCC Championships. Aurelios Catering will provide the TEAM with Spaghetti with Meat Sauce, Pasta with butter, Gluten Free Pizza, Fresh Bread, Garden Salad with Italien and Ranch dressings, and bottled water. Marist has a TEAM Pasta Party prior to every meet. Each member of the TEAM pays a $50.00 annual Pasta Party fee to help cover the costs of hosting Pasta Partys every Friday in September, October, and through the November 3, 2018 IHSA State Championships. As of September 30, 2018, the following athletes have paid the annual fee for Pasta Partys: Bugos, Burns, Breslin, Carey, Cortesi, Cox, Davis, Dillon, Donnelly, Enright, Esparza, Geary, Golden, Hortsman, Kavanaugh, Kerlin, Leonard, Light, Malzone, Rivera, Scott, Thorne, Tracy, Vallie, Viz, Vulich, Wagner, and Walsh. If you haven't turned in your Pasta Party fee yet, please make checks payable to "Marist High School", and turn it in to Marist Head Coach Jon Gordon. Thanks. The ESCC Championships will take place on Saturday, October 13, 2018. A yellow school bus will leave Marist at 6:45 am for Arlington Park, 2200 Euclid Ave, Arlington Heights, Illinois 60005. The ORDER of races is different at every meet this season. Athletes need to warm-up, one race prior to their race. The first race will commence at 9:00 am. Race assignments and divisions will be distributed in practice. Thomas Leonard WINS East Suburban Catholic Conference Championship! Leonard goes from 36th to FIRST place in one year! Pennix earns All Conference! 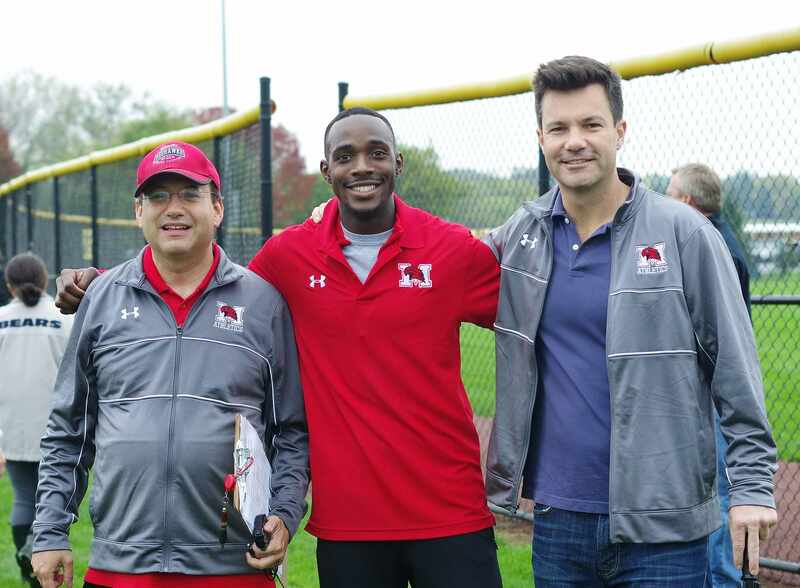 On Saturday, October 14, 2017, the Chicago Marist Varsity Men traveled to Melas Park in Mt. Prospect for the East Suburban Catholic Conference Championships. Saint Viator Athletic Director Martin Jennings, Saint Viator Head Cross Country Wayne Edelman, and Meet Manager John Fuja were excellent hosts, and arrived at Melas Park at dawn to prepare the course for the ESCC Championships in severe weather conditions. A special thanks to Coach Wayne Edelman and staff for making it possible for the Varsity races to take place on Saturday. 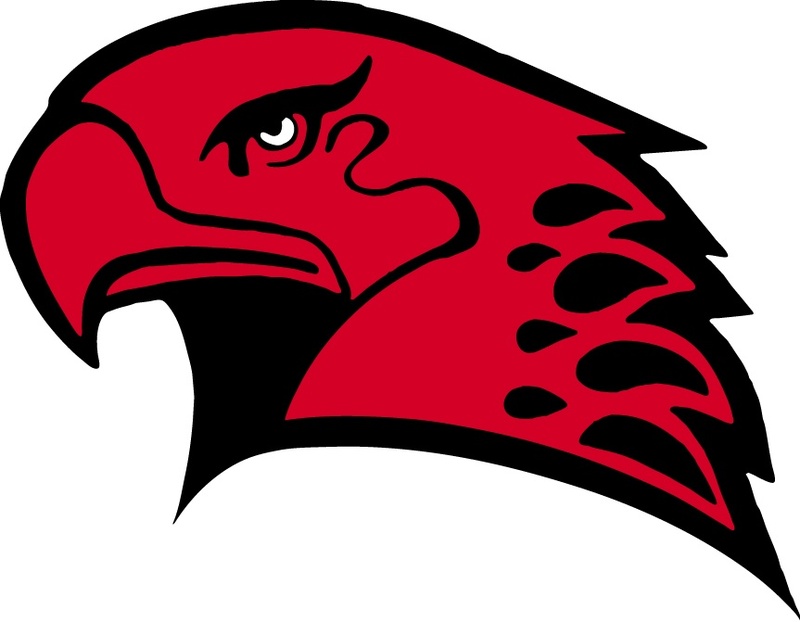 The Chicago Marist Redhawks brought the Thunder to the Conference Championships! Unfortunately, there was lighting, and athletes were not allowed to commence warm-ups until 9:32 am. 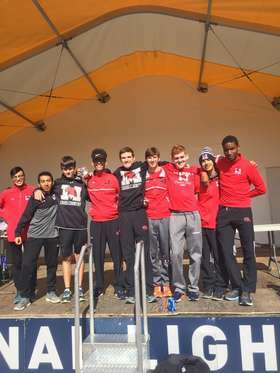 At 10:30 am, the Chicago Marist Varsity Men took the line for the ESCC Championships. 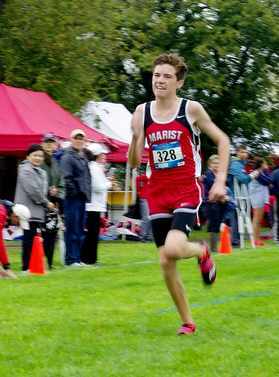 Marist Sophomore Thomas Leonard ran a pure guts race in severe weather conditions for the victory. He took the lead with an impressive opening mile of 4:50, and then ran a 5:40 (10:30), and then ran the final mile in a NEGATIVE split of 5:30.9 to WIN the ESCC Championships with an outstanding time of 16:00.9. 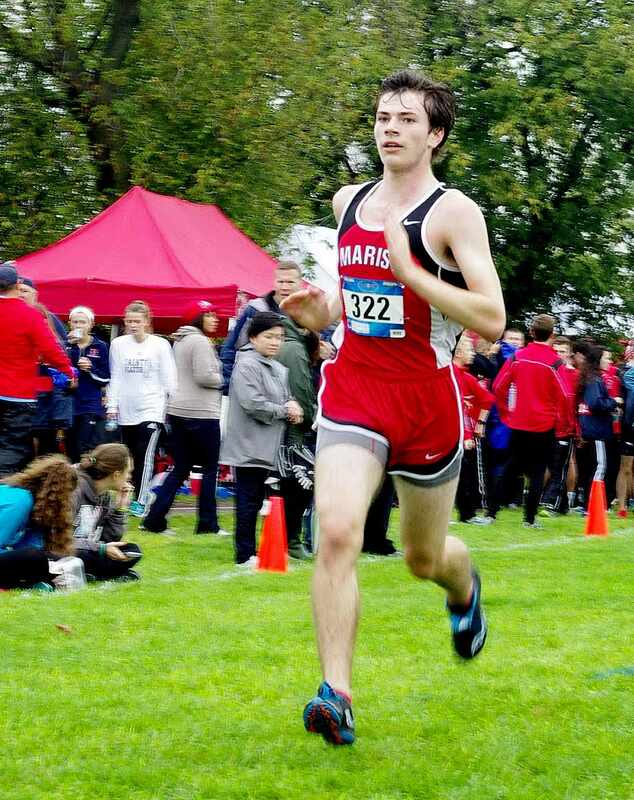 Thomas Leonard is the first Marist Athlete to Win the ESCC Championships since 2012. In 2016, Thomas Leonard finished in 36th place with an official time of 17:45.1. Captain Thomas Leonard dropped one minute and 45 seconds from 2016 to 2017, and improved by 35 places to WIN the ESCC Championships with an official time of 16:00.9. In a nice ceremony following the meet, under the TEAM pavilon, Thomas Leonard was awarded a MEDAL for winning the ESCC Championships. Marist Junior Lucas Pennix finished second for the Redhawks and in 17th place overall with an outstanding time of 17:03.8. Lucas Pennix ran the first mile in 5:05, and then ran the second mile in 6:01 (11:06), and then ran the final mile in a NEGATIVE split of 5:57.8 for an official time of 17:03.8. Lucas Pennix dropped 27 seconds (17:30.1) from 2016 to 2017, and improved by 10 places (27th place) to earn ALL CONFERENCE HONORS by finishing in 17th place overall with an outstanding time of 17:03.8. In a nice ceremony following the meet, under the TEAM pavilon, Lucas Pennix was awarded a MEDAL for finishing in 17th place overall. 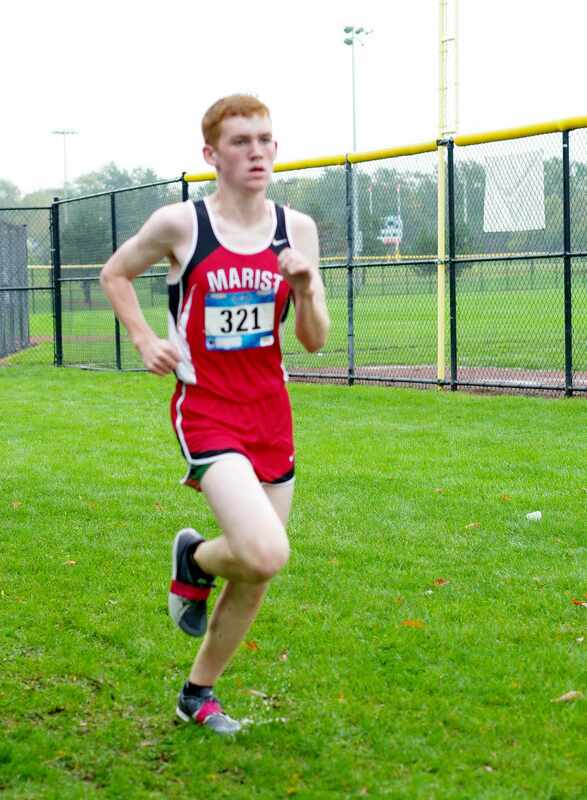 Marist Junior Colin Tracy finished third for the Redhawks and in 29th place overall with an outstanding time of 17:48.7. Captain Colin Tracy ran the first mile in 5:15, and then ran the second mile in 6:15 (11:30), and then ran the final mile in 6:18 for an official time of 17:48.7. 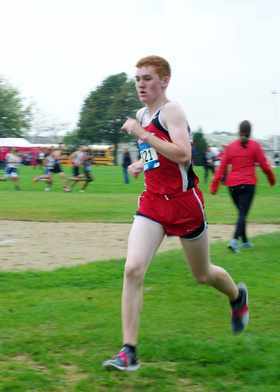 Colin Tracy dropped 16 seconds (18:04.57) from 2016 to 2017, and improved by 11 places (40th place) by finishing in 29th place with an outstanding time of 17:48.7. 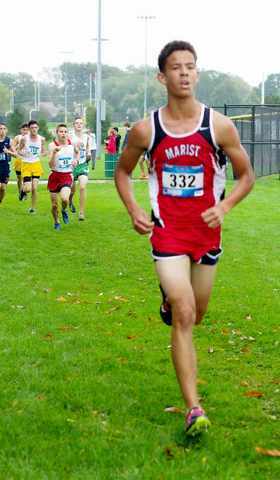 Marist Freshman Kevin Bugos outkicked Nazareth Junior Christian Cano (17:51.5, 31st place) to finish fourth for the Redhawks and in 30th place overall with a PERSONAL BEST time of 17:50.6. Freshman Kevin Bugos was also the second fastest Freshman runner in the conference! 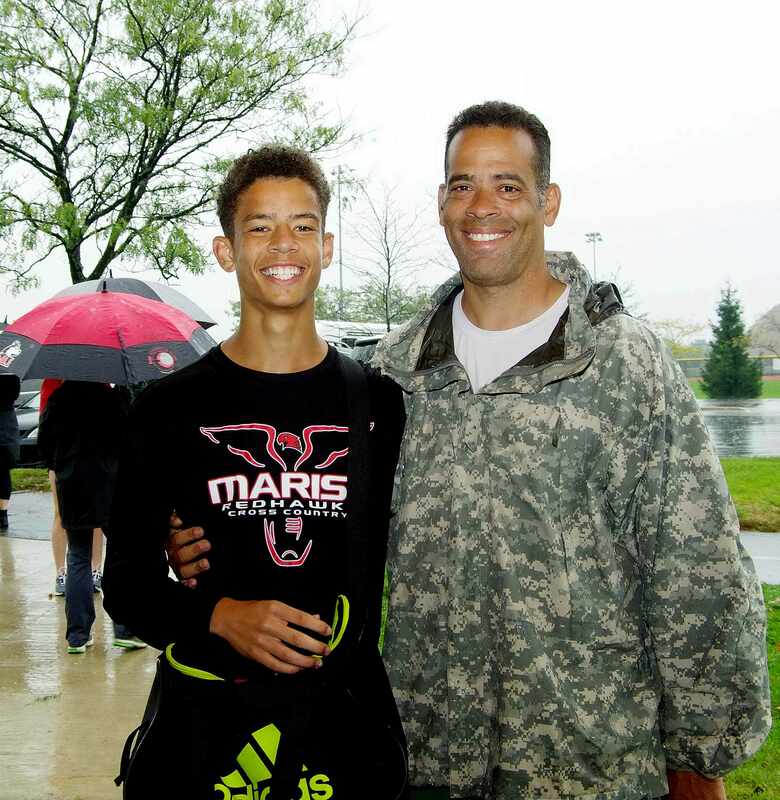 Freshman phenom Kevin Bugos also ran a rare TRIPLE PERSONAL RECORD! A mile personal record, two miles personal record, and three miles personal record ALL in the SAME race! Kevin Bugos ran his fastest mile of his athletic career with a 5:16, and then ran his fastest two mile time by running the second mile in 6:21 (11:37), and then ran the final mile in a NEGATIVE split of 6:13 for an official time of 17:50.6. Kevin Bugos dropped 36 seconds (18:26.59) off his best three miles time in severe weather conditions with a PERSONAL BEST time of 17:50.6. 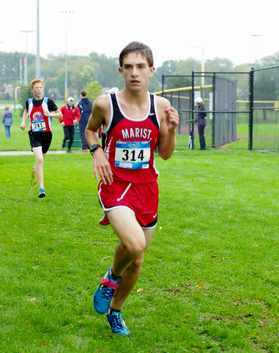 A year ago (2016), Aidan Dillon competed for the Marist Sophomore Team at the ESCC Championships. On Saturday (2017), Junior Aidan Dillon finished fifth for the Varsity to complete the scoring and in 35th place overall with a season best time of 18:15.1. Aidan Dillon ran the first mile in 5:22, and then ran the second mile in 6:22 (11:44), and then ran the final mile in 6:31 for an official time of 18:15.1. Sophomore Luke Hortsman finished sixth for the Redhawks and in 37th place with a PERSONAL BEST time of 18:17.7. Luke Hortsman dropped one minnute and 13 seconds (19:30.0) from 2016 ESCC Championships with a personal best time of 18:17.7. Luke Hortsman ran the first mile in 5:24, and then ran the second mile in 6:26 (11:50), and then ran the final mile in 6:27 for an official time of 18:17.7. Junior Joe Donnelly finished seventh for the Redhawks and in 47th place with an outstanding time of 19:04.1. Joe Donnelly ran the first mile in 5:35, and then ran the second mile in 6:45 (12:20), and then ran the final mile in a NEGATIVE split of 6:44.1 for an official time of 19:04.1. Chicago Marist finished in fourth place with 112 points, and posted victories over: 5. Nazareth Academy (122 points), 6. Marian Central Catholic (156 points), 7. Mundelein Carmel (181 points), 8. Marian Catholic (231 points), 9. St. Patrick (251 points), and 10. Joliet Catholic (273 points). 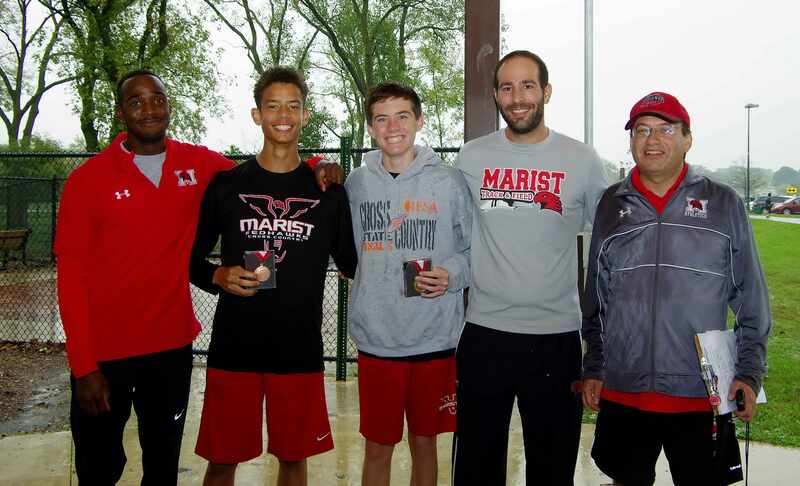 The Chicago Marist Varsity Men had a record of 6-3 on the day, and will compete for the IHSA Regional Championships, on Saturday, October 21, 2017. WIN = What's Important Now? Sophomore Thomas Leonard WINS ESCC Championship! 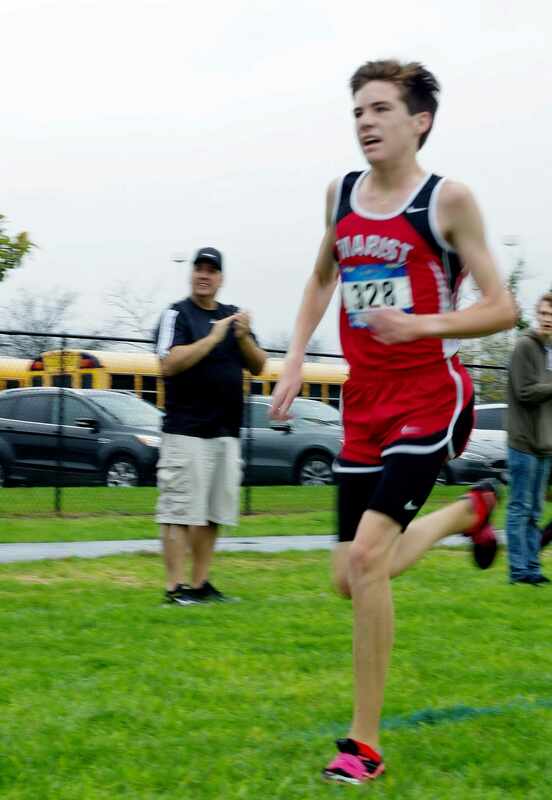 Marist Sophomore Thomas Leonard ran a pure guts race in severe weather conditions to WIN the ESCC Championships with an outstanding time of 16:00.9. Thomas Leonard took the lead with an impressive opening mile of 4:50, and then ran a 5:40 (10:30), and then ran the final mile in a NEGATIVE split of 5:30.9 to WIN the ESCC Championships with an outstanding time of 16:00.9. 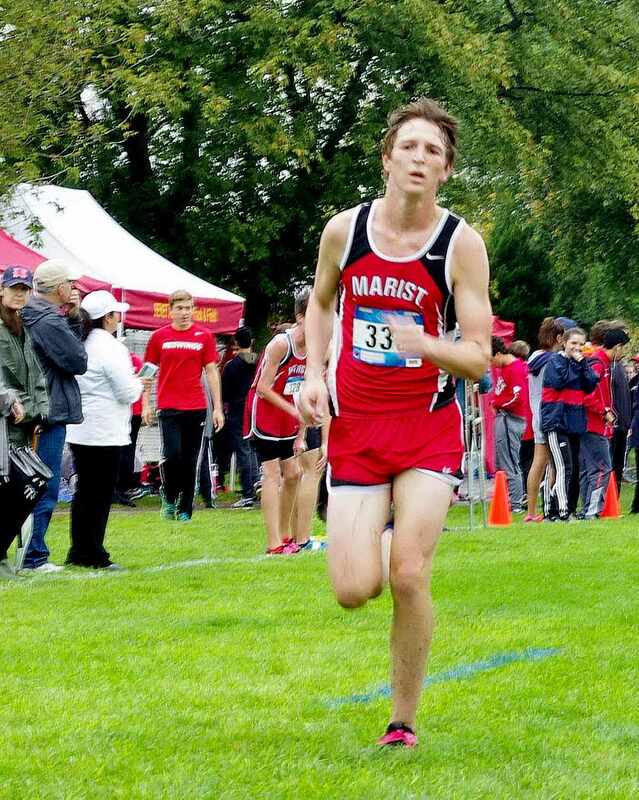 Thomas Leonard is the first Marist Athlete to Win the ESCC Championships since 2012. In 2016, Thomas Leonard finished in 36th place with an official time of 17:45.1. Captain Thomas Leonard dropped one minute and 45 seconds from 2016 to 2017, and improved by 35 places to WIN the ESCC Championships with an official time of 16:00.9. 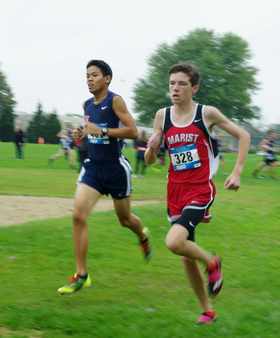 Marian Central Catholic Sophomore Ryan Jones finished in second place with an official time of 16:16.9. 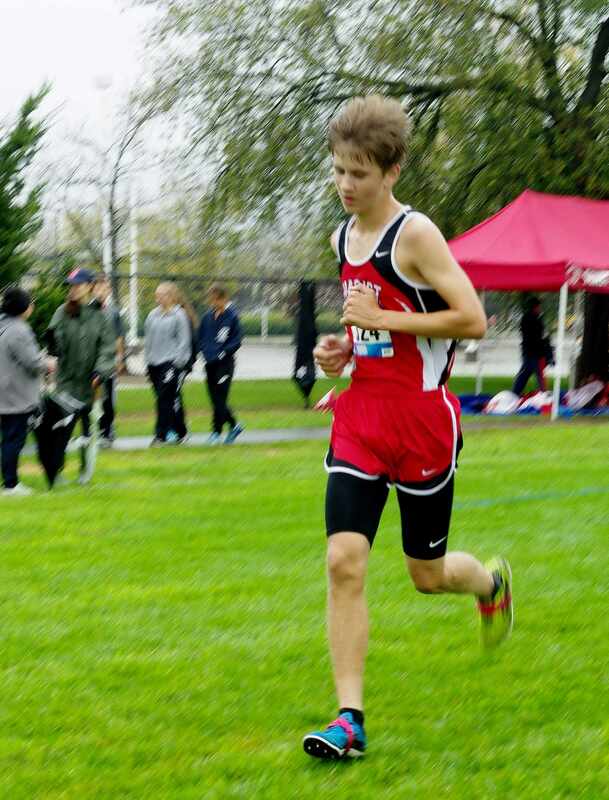 Benet Academy Junior Connor O'Keefe finished in third place with an official tme of 16:22.7. Nazareth Academy Junior Scott Sikorski finished in fourth place with an official time of 16:24.6. Benet Academy Senior Dylan Kingston finished in fifth place with an official time of 16:33.6. In a nice ceremony following the meet, under the TEAM pavilon, Thomas Leonard was awarded a MEDAL for winning the ESCC Championships. Junior Lucas Pennix finishes in 17th place to earn ALL CONFERENCE HONORS at the ESCC Championships! Lucas Pennix dropped 27 seconds (17:30.1) from 2016 to 2017, and improved by 10 places (27th place) to earn ALL CONFERENCE HONORS by finishing in 17th place overall with an outstanding time of 17:03.8. In a nice ceremony following the meet, under the TEAM pavilon, Lucas Pennix was awarded a MEDAL for finishing in 17th place overall. Captain Colin tracy finishes third for the Redhawks and in 29th place at the ESCC Championships! 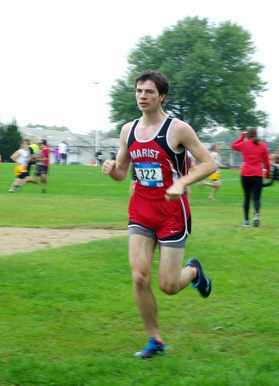 Marist Junior Colin Tracy finished third for the Redhawks and in 29th place overall with an outstanding time of 17:48.7. Captain Colin Tracy ran the first mile in 5:15, and then ran the second mile in 6:15 (11:30), and then ran the final mile in 6:18 for an official time of 17:48.7. Kevin Bugos BREAKS 18 MINUTES BARRIER with PERSONAL BEST TIME of 17 minutes and 50.6 seconds! Second fastest Freshman in the ESCC Championships! Freshman phenom Kevin Bugos also ran a rare TRIPLE PERSONAL RECORD! A mile personal record, two miles personal record, and three miles personal record ALL in the SAME race! Kevin Bugos ran his fastest mile of his athletic career with a 5:16, and then ran his fastest two mile time by running the second mile in 6:21 (11:37), and then ran the final mile in a NEGATIVE split of 6:13 for an official time of 17:50.6. Junior Aidan Dillon finishes fifth for the Redhawks to complete the scoring and in 35th place with an outstanding time of 18 minutes and 15.1 seconds! Junior Aidan Dillon finished fifth for the Varsity to complete the scoring and in 35th place overall with a season best time of 18:15.1. Aidan Dillon ran the first mile in 5:22, and then ran the second mile in 6:22 (11:44), and then ran the final mile in 6:31 for an official time of 18:15.1. Sophomore Luke Hortsman finishes sixth for the Redhawks with a PERSONAL BEST time of 18 minutes and 17.7 seconds! Sophomore Luke Hortsman finished sixth for the Redhawks and in 37th place with a PERSONAL BEST time of 18:17.7. Luke Hortsman dropped one minnute and 13 seconds (19:30.0) from 2016 ESCC Championships with a personal best time of 18:17.7. Junior Joe Donnelly finishes seventh for the Redhawks and in 47th place overall with an official time of 19 minutes and 4.1 seconds! Junior Joe Donnelly finished seventh for the Redhawks and in 47th place with an outstanding time of 19:04.1. Joe Donnelly ran the first mile in 5:35, and then ran the second mile in 6:45 (12:20), and then ran the final mile in a NEGATIVE split of 6:44.1 for an official time of 19:04.1.